In 1963, when the Michigan Nature Association (MNA) was called the Macomb Nature Association, it established Big Hand Road Plant Preserve. Now named after MNA’s founder Bertha A. Daubendiek, this plant preserve continues to be a good hike for beginners in nature study and those looking for a short walk on the quarter-mile trail. In 1952, Bertha Daubendiek co-founded the Michigan Nature Association, which was named the St. Clair Metropolitan Beach Sanctuary Association at the time. Until her retirement in 2001, Bertha worked to protect some of Michigan’s most precious natural areas. She also inspired others to join her efforts or start their own efforts around the state. Over the years, Bertha received numerous awards for her hard work, including induction into the Michigan Women’s Hall of Fame in 1994 and receiving a lifetime achievement award from the Wildlife Habitat Council for 50 years of dedication to preserving natural areas throughout Michigan in 2002. Bertha passed away in 2005 at age 89 after dedicating her life to protecting nature. Though it is only five acres in size, this sanctuary contains three distinct forest types, southern hardwood swamp, mesic southern forest, and dry-mesic southern forest. As the path descends a few feet into a swamp forest habitat trees including birch and ash trees, as well as wildflowers like marsh marigold and foamflower become more common. This sanctuary also provides an outstanding display of wildflowers. 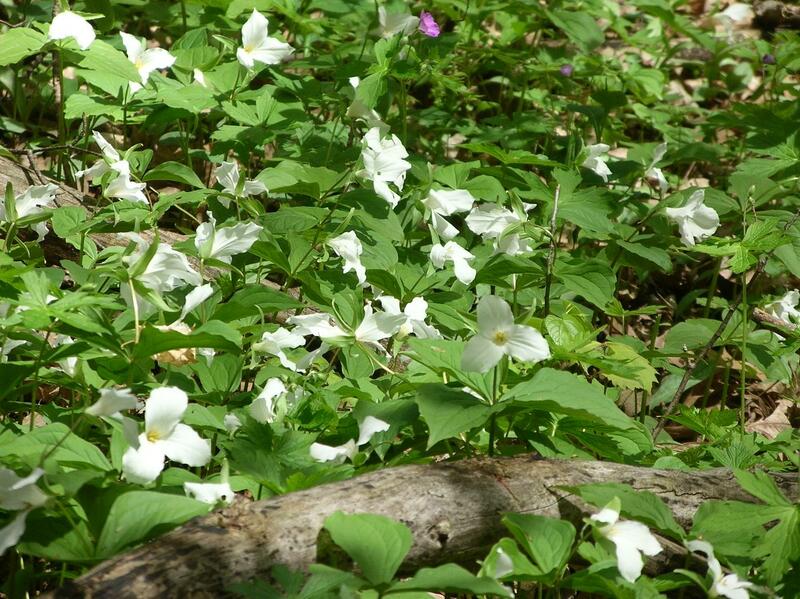 Violets, toothwort, white and red trillium, wood-betony, Solomon’s seal, wild columbine and starflower are among many of the types that can be found in this preserve. After crossing a narrow tributary which leads to the nearby Belle River, the path climbs higher into dry mixed upland forest containing white and red oak, black cherry, and white pine. Visitors to the sanctuary are rewarded with spectacular views during every season. In June, blue flag blooms along the stream. August welcomes great blue lobelia, Indian tobacco, and cardinal flower. 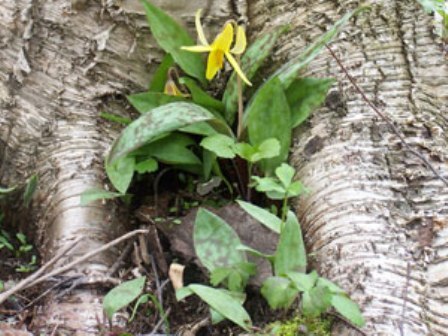 During late fall, even after the leaves have fallen, small plants lining the forest floor are still green and vital. The sanctuary provides good birdwatching along the Belle River forest corridor which is marred slightly in June and July due to an abundance of mosquitoes. Birds documented in the preserve include the great crested flycatcher, black-billed cuckoo, red-eyed vireo, ovenbird, mourning warbler and the northern yellowthroat. 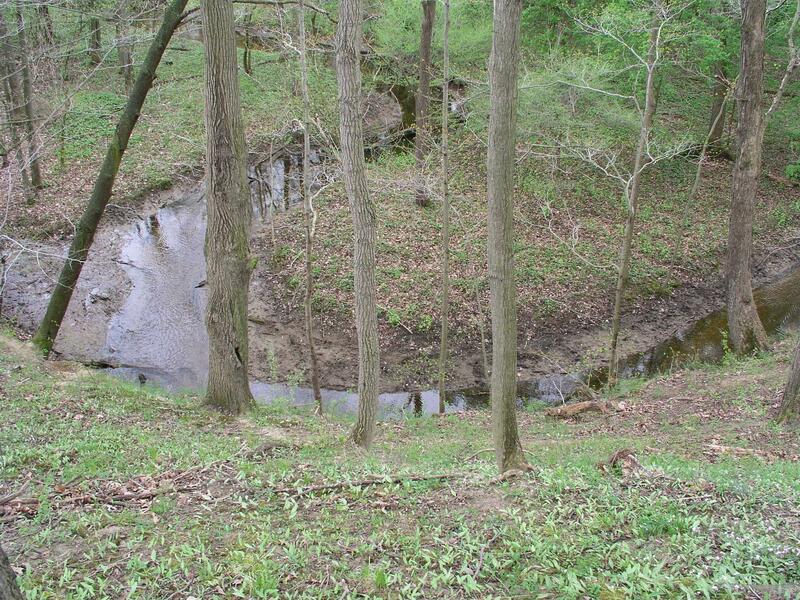 The preserve is located four miles northeast of Muttonville in St. Clair County. Parking is available along the south side of Big Hand Road.